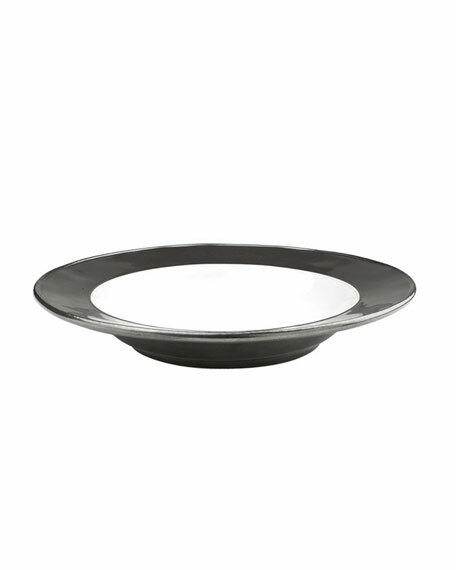 A creamy white center juxtaposed with pewter-toned border creates a handsome and infinitely versatile soup bowl that inspires both intimate dinner parties and grand gatherings. 10"Dia. x 2"T; holds 16 ounces. For in-store inquiries, use sku #231764.